The Rodolphe Mérieux Laboratory of Chittagong provides quality diagnostics for patients and seeks to develop research programs on high-impact diseases in Bangladesh, including tuberculosis, respiratory disease, and enteric and diarrheal infections. The ambition of the Rodolphe Mérieux Laboratory of Chittagong (Bangladesh) is to be a national center of excellence for applied research, training and biological analysis. It belongs to the Bangladesh Institute of Tropical and Infectious Diseases and is directed by Professor Abul Hassan Chowdury. The laboratory provides quality diagnoses to improve patient care, and handles both routine testing and more specialized analyses. It conducts research on local public health challenges with the support of the International Centre for Diarrhoeal Disease Research of Bangladesh. 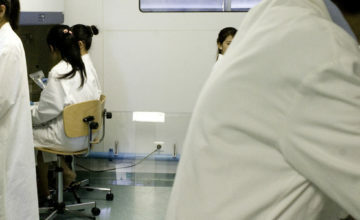 Through its day-to-day work, the laboratory contributes to providing care for patients at the Chest Disease Hospital. 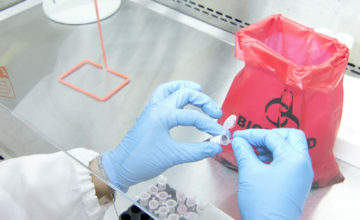 It seeks to develop research programs primarily about tuberculosis, respiratory disease, and enteric and diarrheal infections. Bangladesh is one of the 22 countries in the world most impacted by tuberculosis; it also has one of the highest rates of enteric infections, which account for a great number of deaths, especially among children. 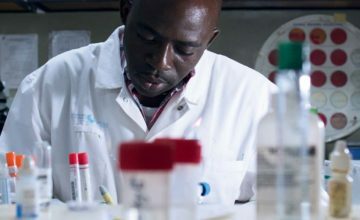 The GABRIEL network brings together 19 laboratories, primarily in developing countries, to conduct infectious disease research. 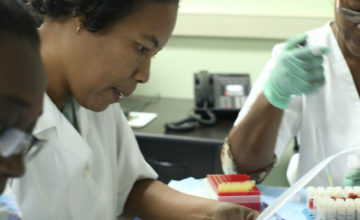 As participants in the GABRIEL research program on tuberculosis, the Rodolphe Mérieux Laboratory staff receive training, for example, on how to use the Line Probe Assay kit, a first-line molecular test for diagnosing antibiotic-resistant tuberculosis. 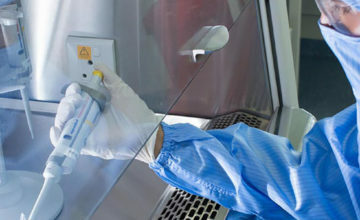 Diagnosis of drug resistant TB takes place at the Rodolphe Mérieux Laboratory in partnership with the Institute for developing Science and Health initiatives and the International Center for Diarrhoeal Disease Research of Bangladesh. 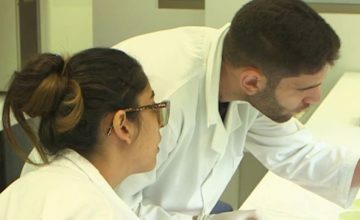 In addition, students in clinical biology and infectious diseases receive training in the laboratory to support local capacity building. A BSL3 laboratory for mycobacterial cultures. 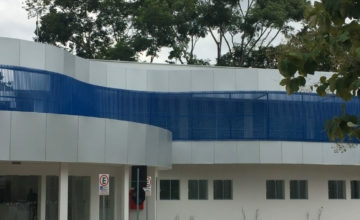 It also has a room for collection blood samples, a culture media preparation room, a room with an autoclave for sterilizing culture media, and a reception area with a waiting room. When the lab was built, specific techniques made it possible to generate energy savings of 40 to 60% compared to conventional structures. 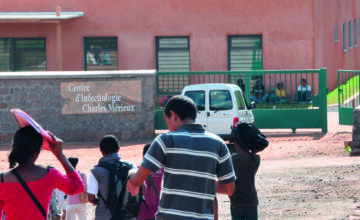 In addition to building the laboratory, the Mérieux Foundation also provided the equipment and training for staff.